This series focuses on the home front and asks whether issues at home were actually the big stories of the Great War, especially of the years 1916-18. We have seen already how national issues like recruitment and mobilisation (Nos. 2 and 4 in the series) played out in local communities (No. 1) and how events overseas like the Easter Rising in Ireland overlapped with industrial unrest about conscription (No. 3). The post shows how incipient tensions between Australians of Irish descent and others – read ‘Catholics’ and ‘Protestants’ or ‘working class’ and ‘petit bourgeois’ – loosened for a while at the start of the Great War but were never far beneath the surface. In Alberton Shire they came out in the schools. Importantly, the lack of Catholic primary schooling in the Shire of Alberton meant that all the young men who grew up in and enlisted from the Shire had shared a common experience of schooling, in the state system. That system was explicitly and unreservedly Imperialist in outlook and practice. Whatever the boys were told at home – and most of the Irish-Catholic families in the district still had very close relations with wider family back in Ireland – at school they were given the full and glorious version of the history and greatness of the British Empire. The post refers to the work of Rosalie Triolo on schools during the Great War, particularly Our Schools and the War. Her excellent package of materials, Schooling, Service and the Great War, is also relevant. a Catholic primary school that would develop the Catholic identity of the local children, strengthen Catholic families and serve as proof of the strength of the local Catholic community. The Catholic position was commonly seen by many as divisive and exclusive. It effectively removed Catholic children from the mainstream, secular state school and denied that a common education could characterise Australian society. It also meant scarce resources were compromised. 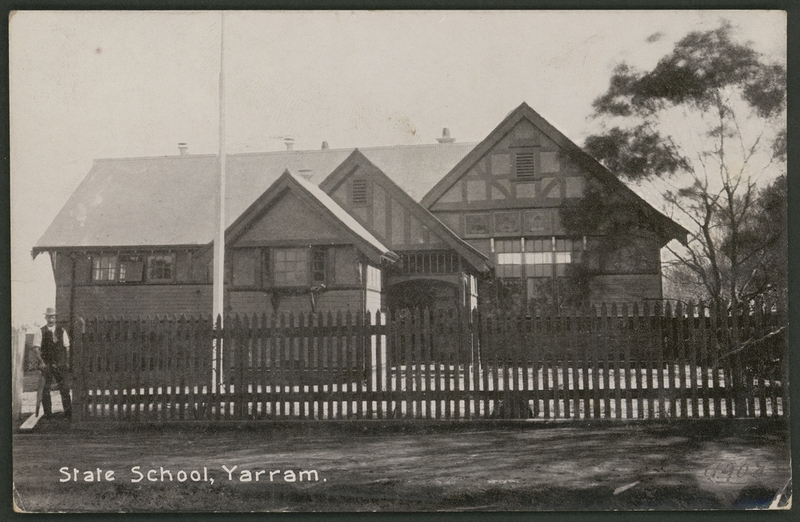 The push for the Catholic school occurred at the same time as the community was lobbying for a higher elementary school in Yarram. There were also differences over the issue of religious instruction in schools. To sum up, as well as the Australian outgrowth of the conflict between Irish Nationalism and British Imperialism and the divisions over the first conscription referendum, there was great potential for Catholic-Protestant conflict locally over secularism in education. As much as people in the local community worked to promote a sense of unity in the face of the War, the fault lines between Catholic and Protestant were very substantial and undeniable. In this particular case, the commitment by local Catholics to reject ‘secular’ education and establish their own school, and at the same time deny Protestant influence in the state school, definitely compromised the ideal of a united local community.